Allan Gómez-Automotive Transport - BECA. The BECA.org Foundation. Empowering Youth Education in Nicaragua. 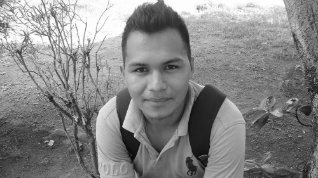 Hello my name is Allan Enrique Gómez Chavarria, i live in the community Pilas Orientales, Masaya, it is a pleasure for me to be sharing my story of success, also i hope God bless you. First of all i knew about the program through one of my aunts she heard on a conversation that sound a little interesting and she met the ex-coordinator Lester Hernandez, he explained all about the foundation and give out a brochure to her, my aunt gave me one of those brochure to me. After i fill out my application one of the coordinators visited my house and remember that Sorania Davila (ex-coordinator), she told me do not worry we usually chose people from the countryside, then i start with the computer course with my coordinator Reynaldo López, he is a really good guy. While i was on the computer course i knew Walter Hunchack, i had the opportunity to talk with him, i felt nervous, he said we were scared of him but it was just because of respect. After completing the computer course i start the brigade, for me i was like a little kid because i had to play with the children. I was part of the group that worked at the Cristobal Rugama Elementary school, I do not know if i represent the foundation in a good way but at the end everything was fine and i did not have any problem. I studied Senior Technician in Automotive Transport at INTECNA, i was a good student with good scores, disciplined and punctual. The scholarship i got change my life because now i have the opportunity to apply for a job. I start practicing at the electric generation plant Che Guevara, when i was there i sign for a temporary contract, then i had to compete for one of the position available fortunately i got the job and now i have been working there for 7 months. Thank God and BECA.org because without their support i would not be here.